1. Preheat your oven to 350°F and line a 9"x9" baking dish with parchment paper, making sure to have one long strip going one way and then another long strip going the other way so that all four sides of your baking dish are lined (and will be doubled up on the bottom of the dish). 2. Place a small glass or metal bowl over a simmering pot of water, but do not let bowl touch the water- thus creating a double-boiler. Slowly melt together the coconut oil and unsweetened baking chocolate, stirring occasionally. Once melted, remove from heat and set aside. 3. In a large bowl, whisk together the eggs and coconut sugar until well combined. I used a good old fashioned hand whisk and some muscle, but feel free to use a hand-held blender or your stand mixer. Once combined, add vanilla extract and salt and stir to combine. 4. Finally, slowly add in the chocolate/oil mix and whisk continuously and well. It will thicken up quite a bit, so don't be alarmed. Add in the cashew flour and the arrowroot and stir until no lumps remain and everything is mixed together. 5. Pour batter into your prepared baking dish and bake for about 15-20 minutes or until a toothpick comes out with crumbs on it. 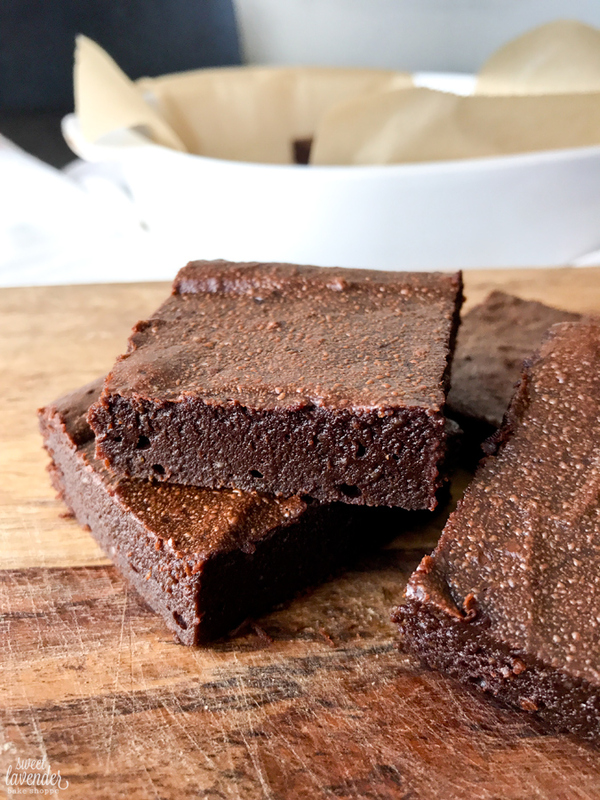 Allow brownies to cool 10 minutes before cutting into desired sized squares.